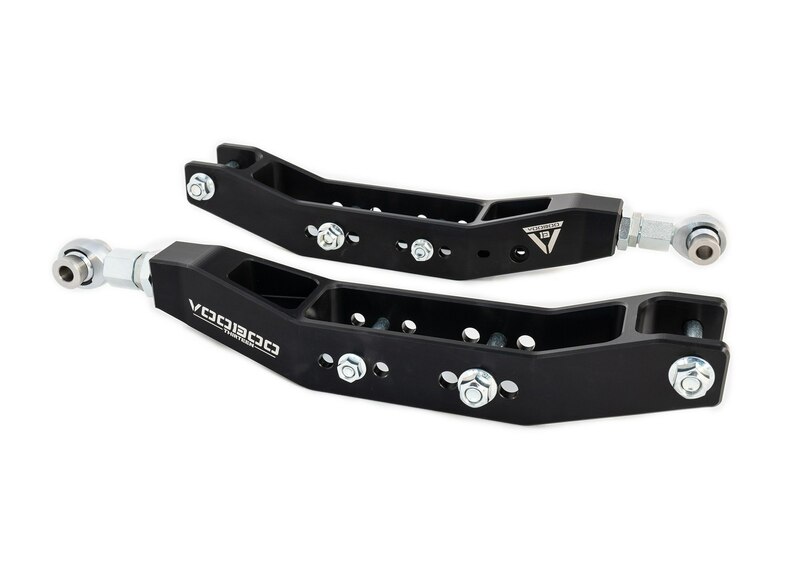 Voodoo13 2017-Up Toyota 86 Rear Lower Control Arms are designed, engineered and tested on race tracks across the globe using feedback of top tier drivers and technical directors. 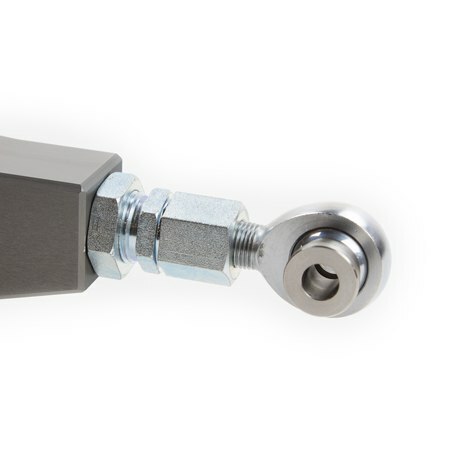 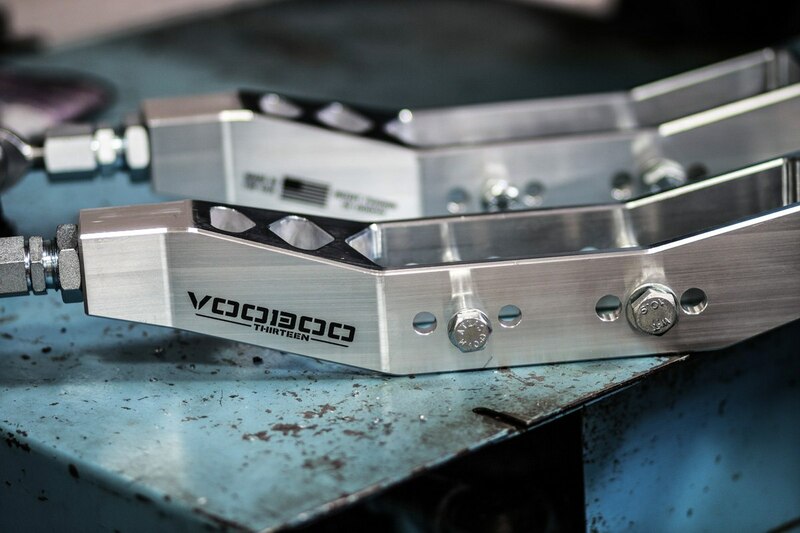 Precision CNC machined from high strength aluminum and coated in MIL-A-8625 Type III Hard Anodize. 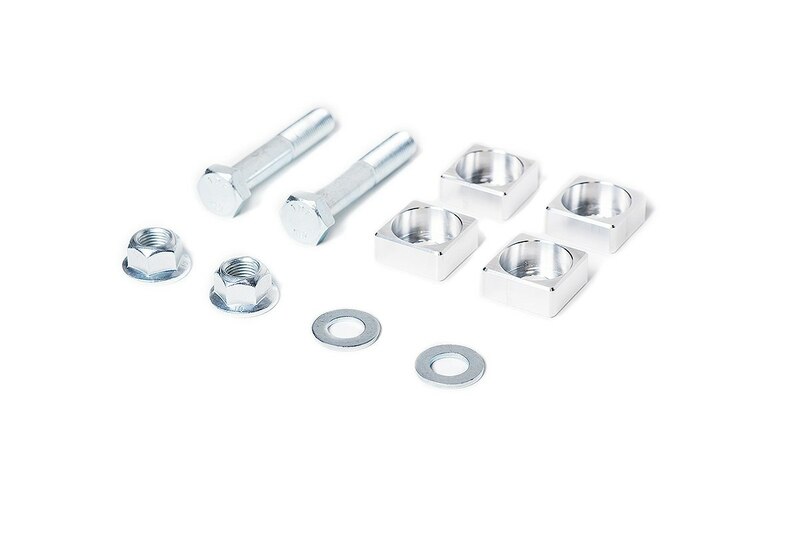 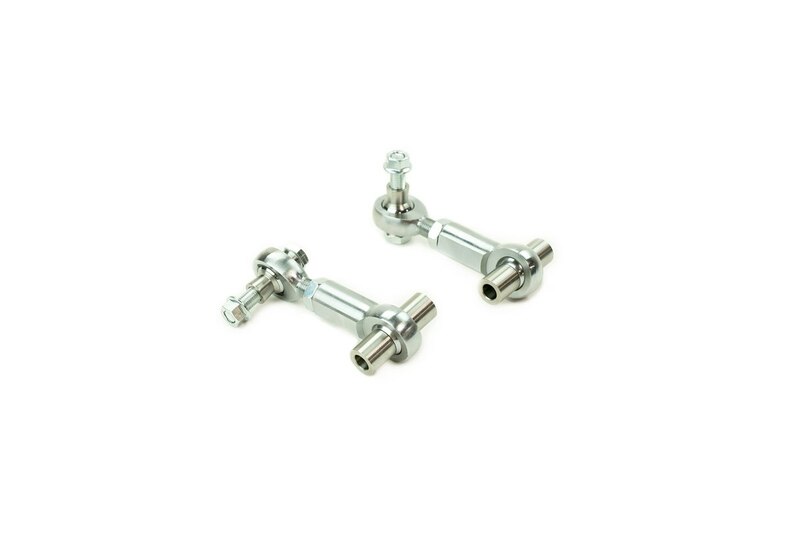 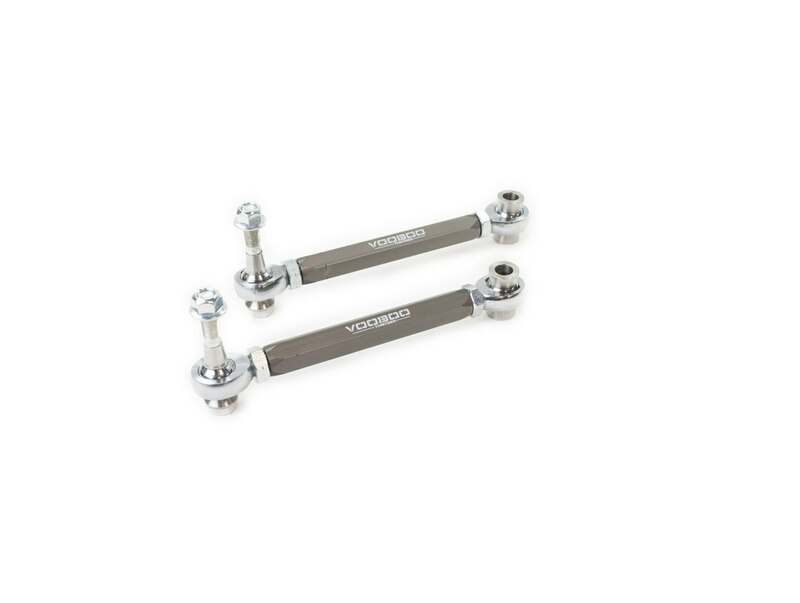 Heat treated Chromoly Steel rod ends and Grade 8 hardware is used to ensure they will withstand abuse from street cars and track cars alike. 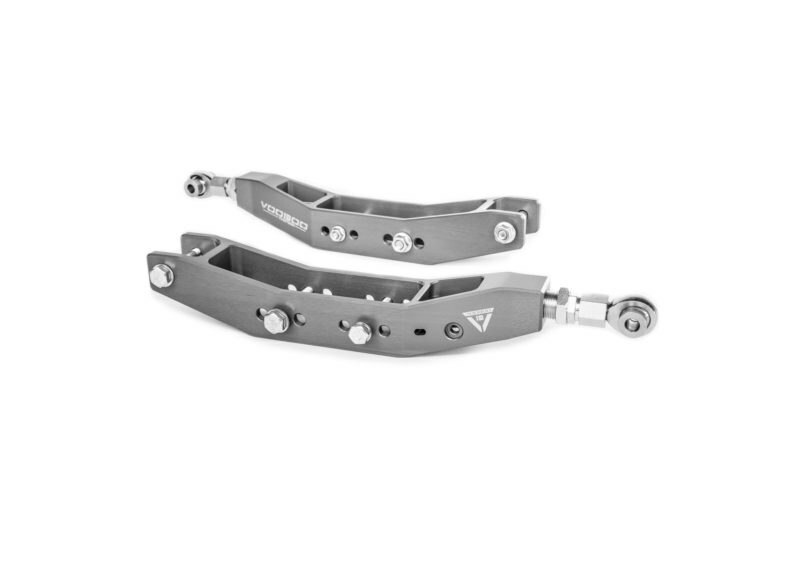 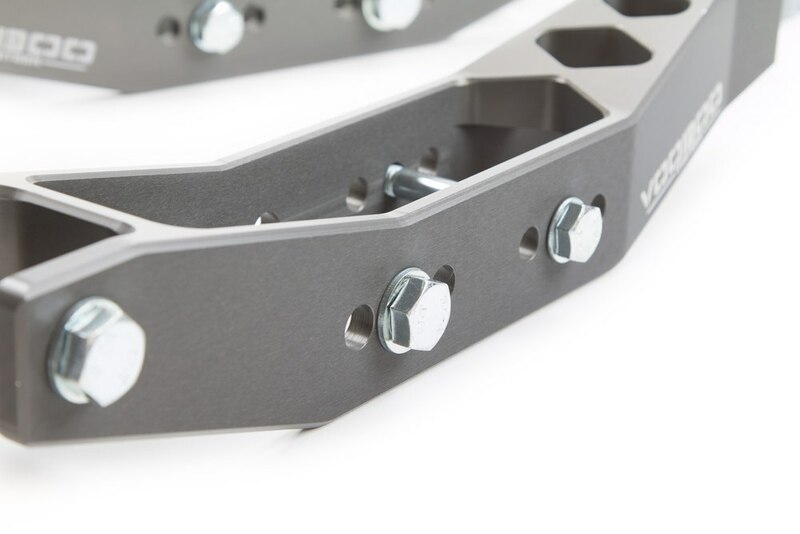 These control arms offer a considerable increase in strength and rigidity over the OEM stamped steel arms that are prone to flex under stress due to their thin wall construction. 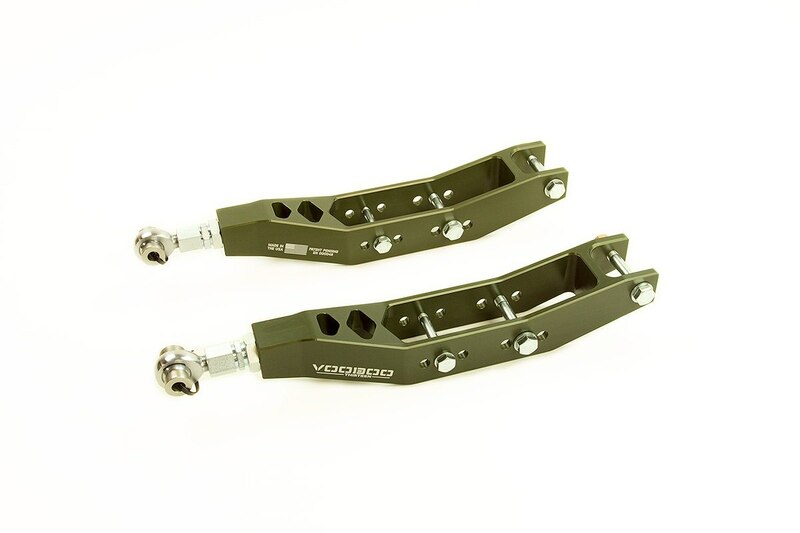 Three shock angle mounting and three sway bar mounting positions are available which provide you with the ultimate in suspension tuning. 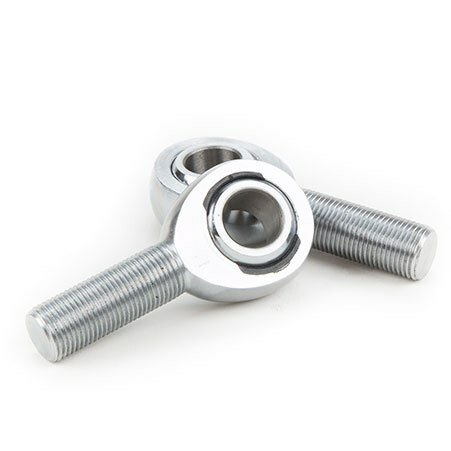 The mounting location to the hub is designed to allow for 18mm of drop. 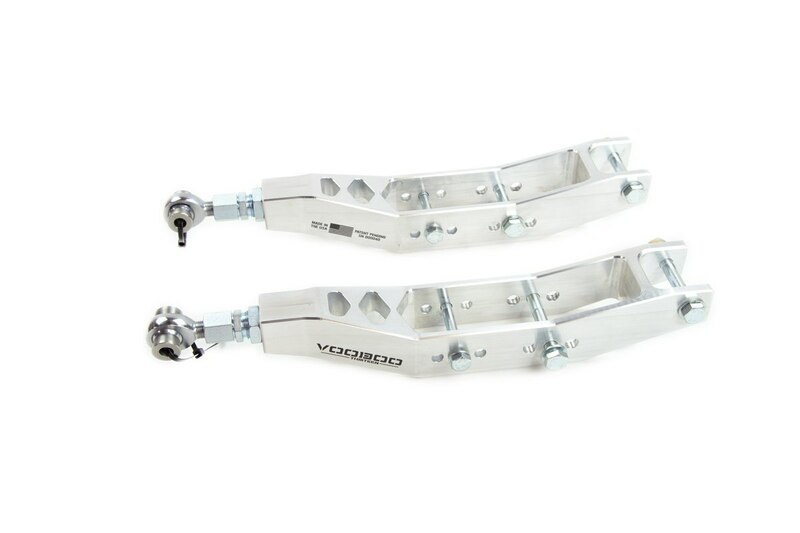 Camber can also be adjusted which allows the user to reduce tire wear and improve handling and stability. 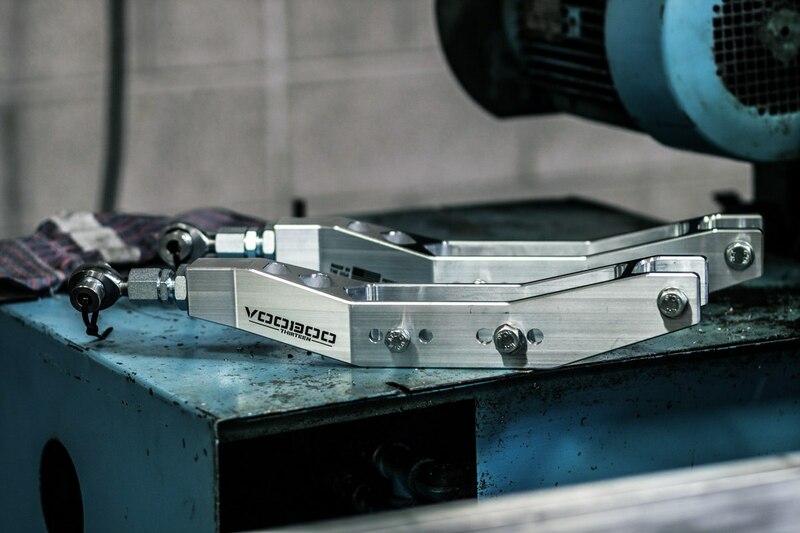 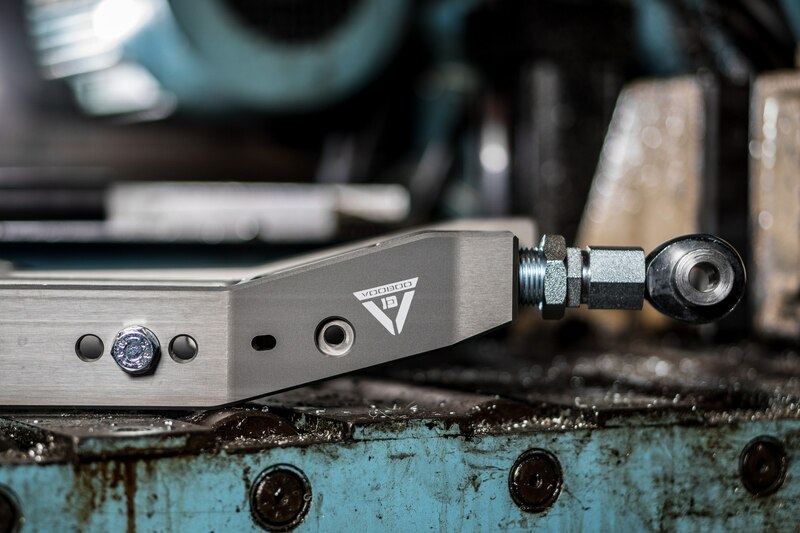 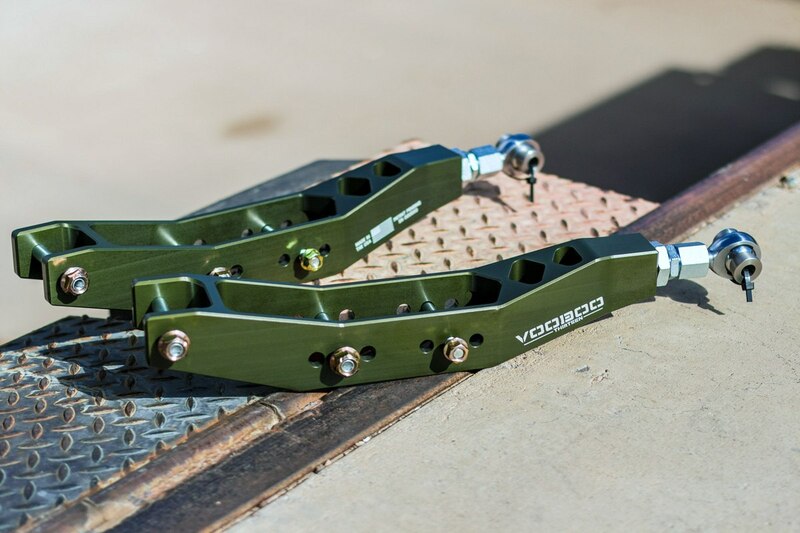 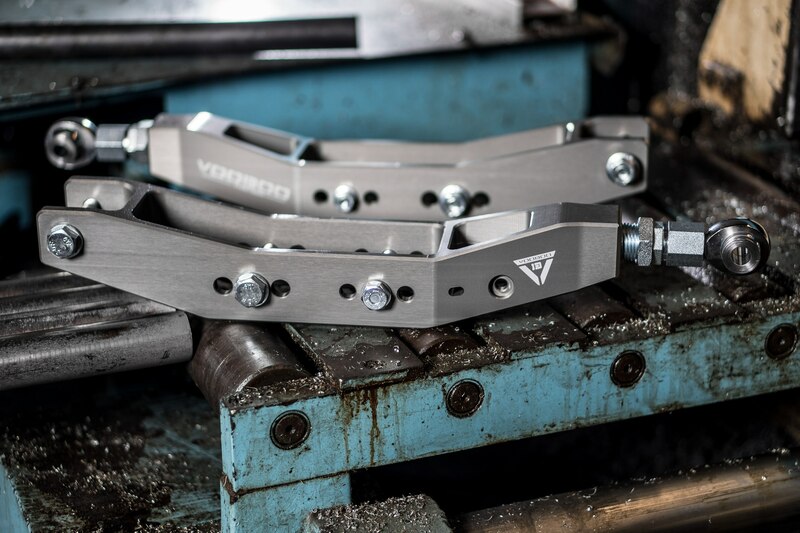 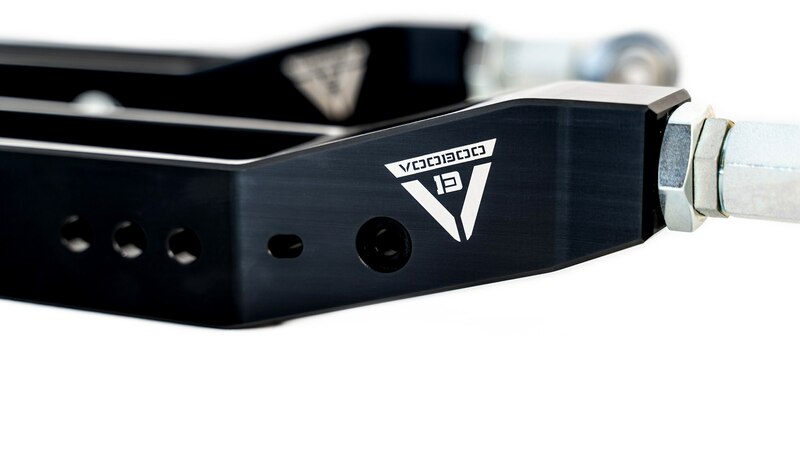 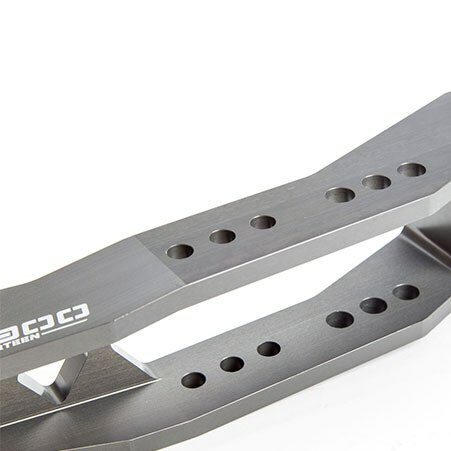 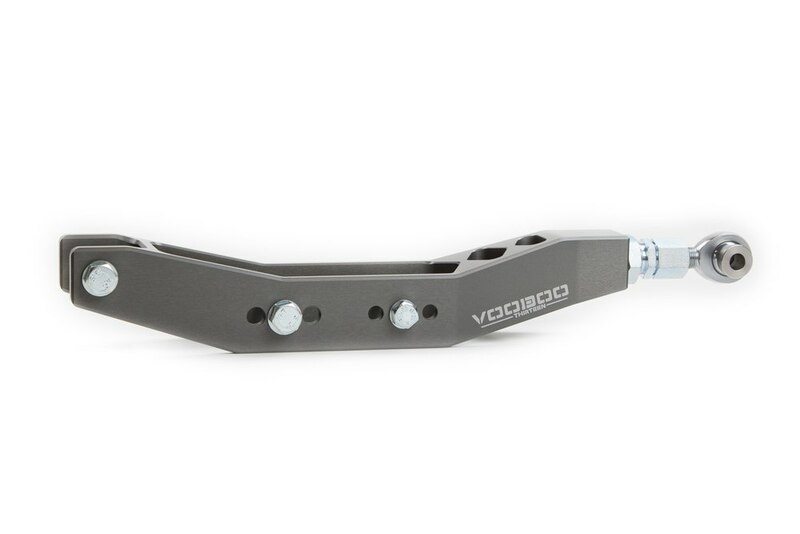 Voodoo13 FR-S/BRZ/WRX Rear Lower Control Arm are designed, engineered and tested on race tracks across the globe using feedback of top tier drivers and technical directors.